It makes a huge batch. I got 16 full sized cupcakes and 24 mini cupcakes out of it! 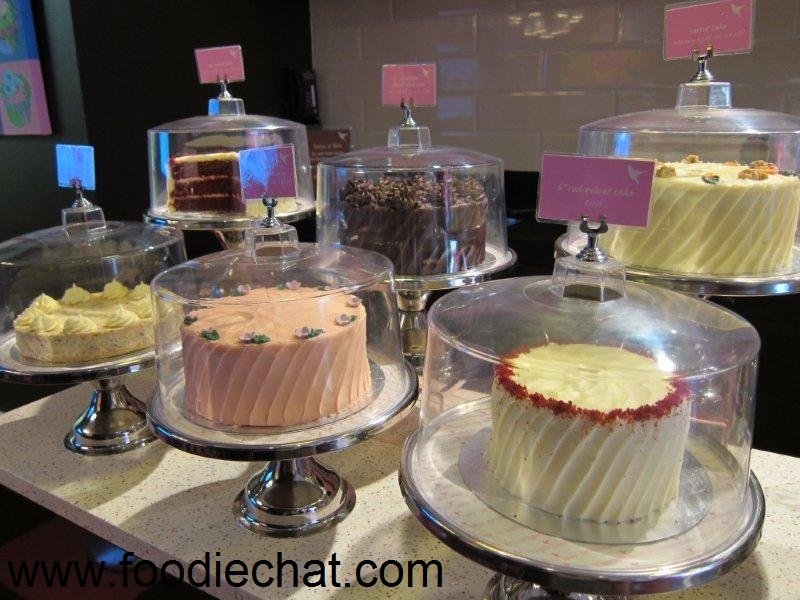 And the second purpose of my blog post, is to say – now I know why you have to use castor sugar if it says castor sugar! I made the cupcakes two days ago, and today reaching for one of them, I can see little white speckles all over them! On closer inspection, it is undissolved sugar! 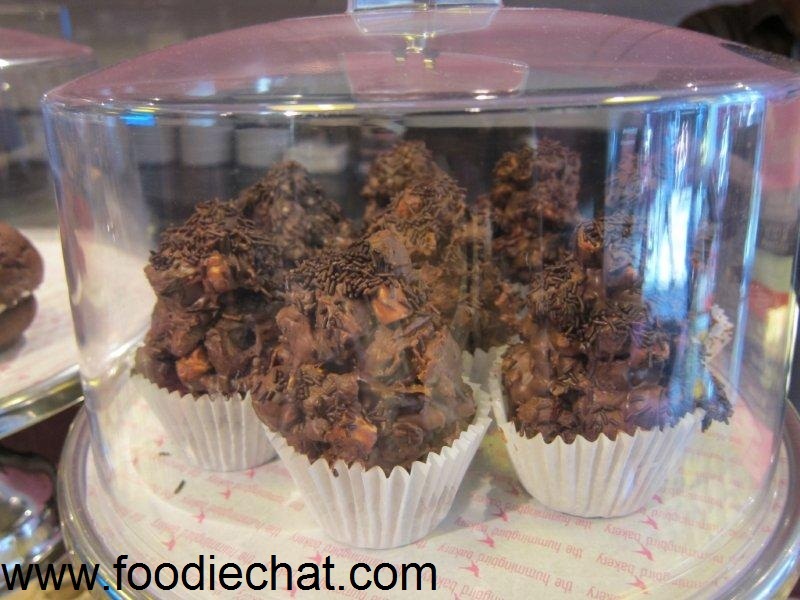 The recipe doesn’t say castor sugar, and since castor costs more than normal sugar I used normal….. learnt my lesson! No impact on taste or the inside though. I find this case’s texture excellent for shaping, and making children’s cakes, it is very sturdy but still soft and crumby. Hope you find it useful! 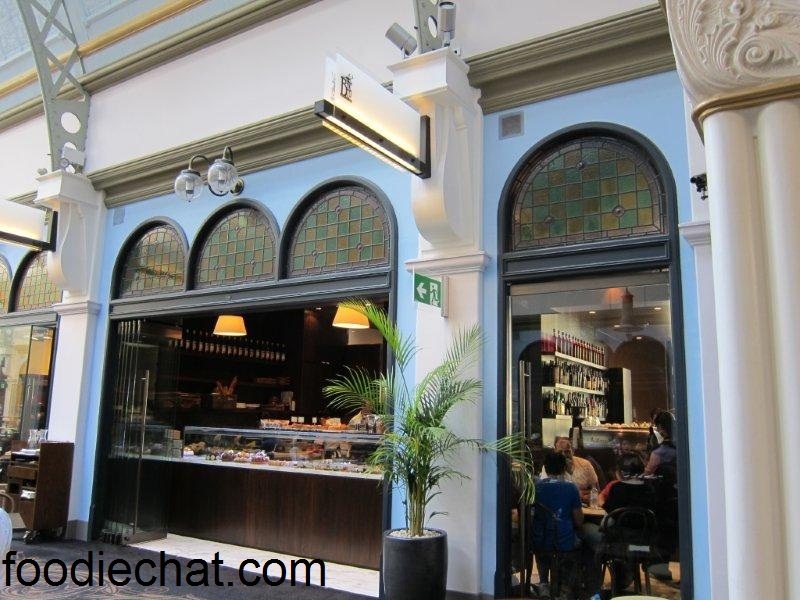 Bacco Pasticceria – now at the Queen Victoria Building! 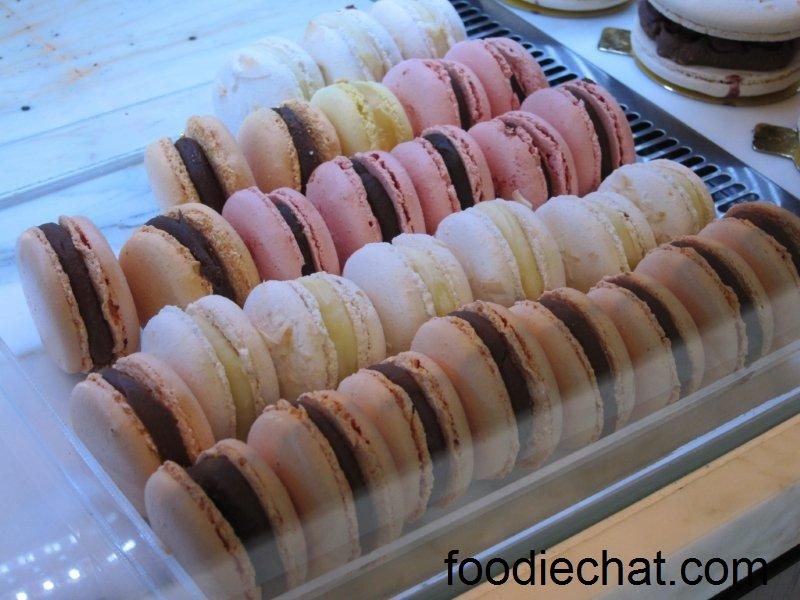 Since Adriano Zumbo, Sydney has been in a bakery (and more specifically, macaron) state of frenzy. It then surprised me that the new branch of the Bacco Pasticerria opened in quite a low key manner, in quite a low key spot at the top of QVB. I can’t say that that upsets me too much, because this means that by lunchtime there is greater likelihood of a good variety of sweet things to choose from! Bacco is a pasticerria and cafe and restaurant in one. Beneath the stained glass arched entrance is a clear glass display of beautiful pieces of fine cake art. 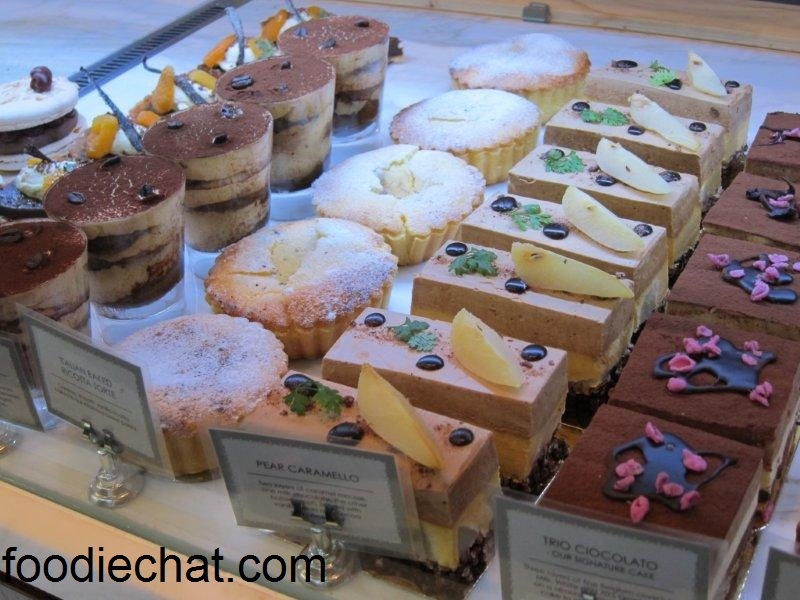 It is soooo hard to choose from – tiramisus, mousse cake slices, gigantic macarons sandwiched with ganache, and their signature three texture chocolate mousse cake to name but a few.. 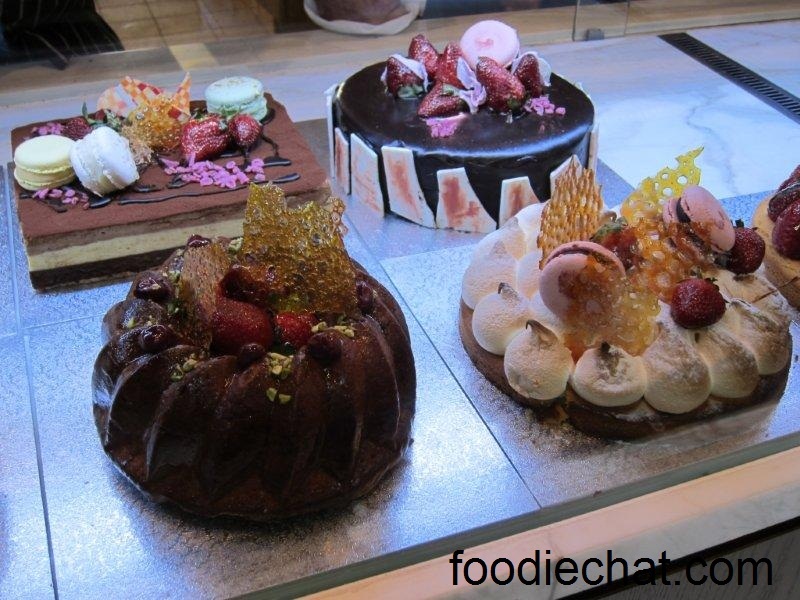 They also have a good selection of family sized cakes, all too delicious to eat – topped with gorgeous strawberries, macarons and other jewels of adornment. The style is less crazy, definitely not plain classic, each one a beautiful work of art that seems too good to ruin by eating. What paticceria in Sydney would dare not offer a macaron. These chubby cuties sandwiched generously in ganache and irresstible in their pastel beauty. Just in time for summer, another fine addition to the Haymarket dining scene – the third opening in less than a month! 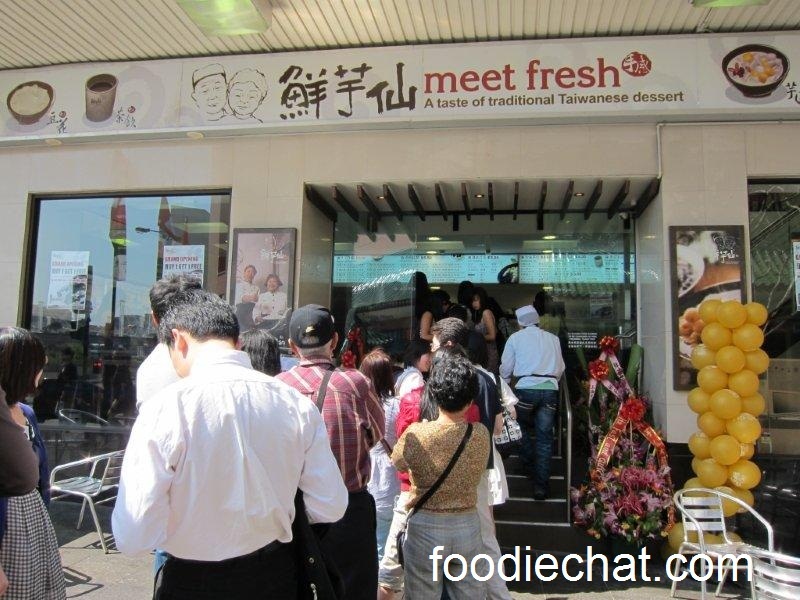 Meet Fresh is apparently all throughout Taiwan, but the Sydney branch is its first foray into Australia, reflecting the rapidly adapting and adventurous palates of the locals; and the cravings of our visitors and students! Opening week saw long queues daily – but don’t be daunted, it moves quite quickly. Located on the corner of the main drag of the pedestrian part of Chinatown (corner of Liverpool and Harbour streets), next to Mamak, it is famous for its taro pearls. 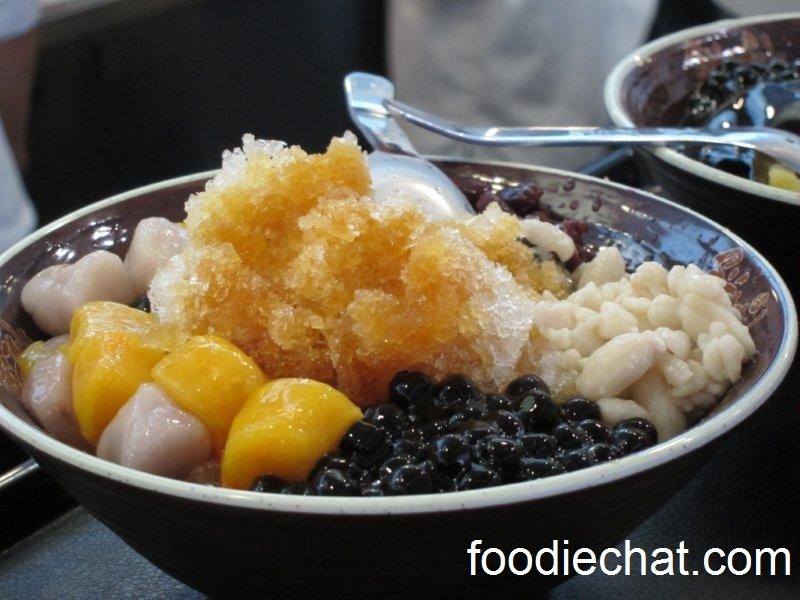 Syrupy bases of shaved ice are topped with all manner of asian specialiaties including Azuki beans, mung beans, lotus seeds, tapioca pearls – the combinations are endless, and you can also have silken tofu based desserts too. And both can be served hot or cold. 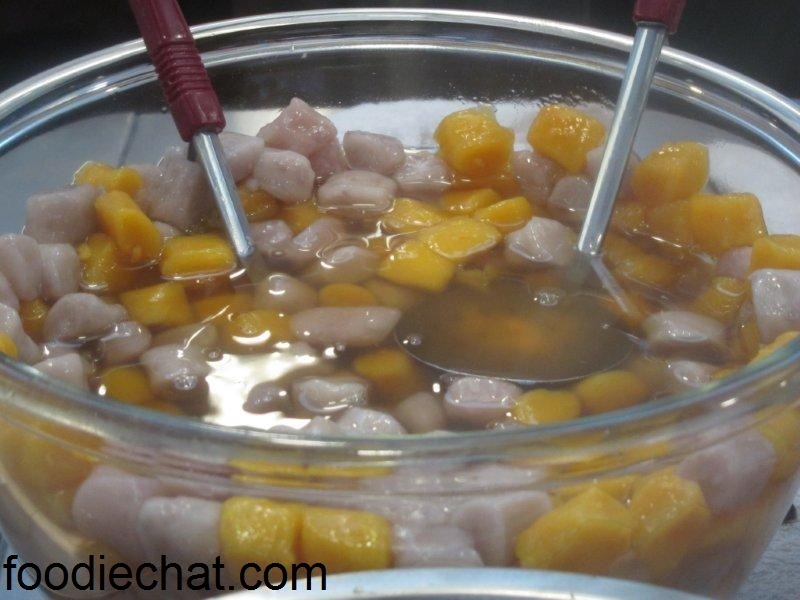 The famous taro pearls are also served with sweet potato pearls. 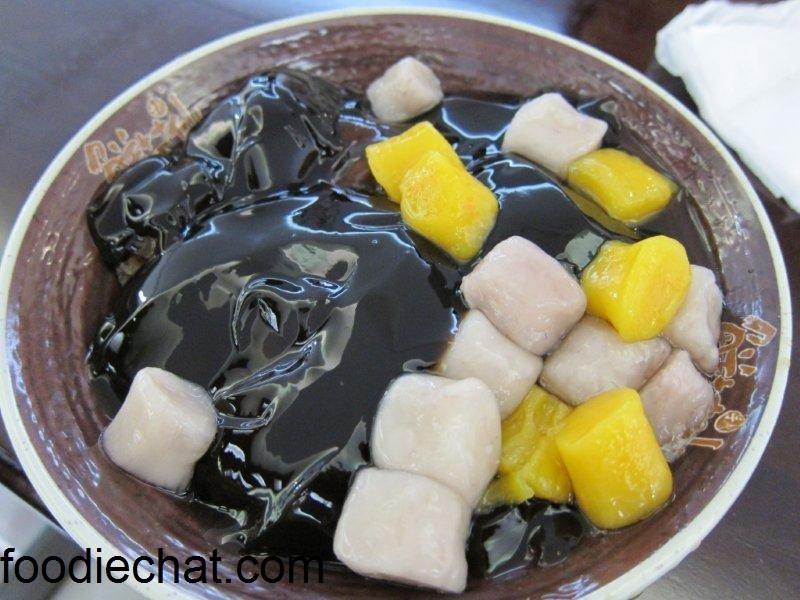 Steamed taro/sweet potato is rolled with glutinous rice flour and served in syrup. I don’t know if it was my serve, or because of the hot business on that day, but my pearls were slightly too chewy and not sweet enough. Shaved ice, pearls, beans, and the taro/sweet potato pearls with azuki beans peaking at the back – a refreshing summer’s treat. 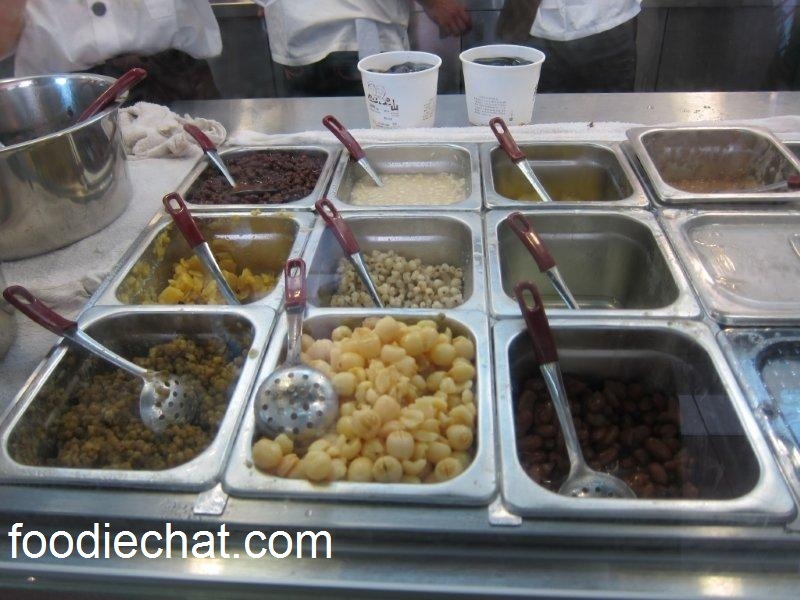 And bowls so huge – don’t eat lunch first, as it is a meal in itself! 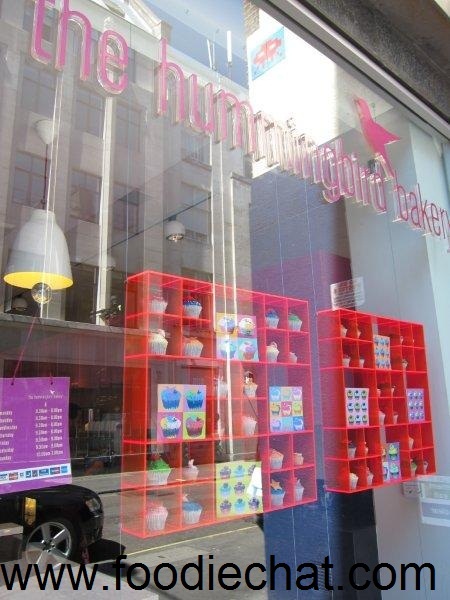 Last year, I bought the Hummingbird Bakery cookbook, based purely on the beautiful traditional home baked goodies that filled its pages. A year later, I was lucky enough to get to visit London, and purely by coincidence, managed to pass the actual store whilst exploring trendy Soho! You can’t miss it, as the book is so true to the store – the pink bird sitting on top of the painted font (a hummingbird dare I say? ) and the striking red shelves with its wares on display. 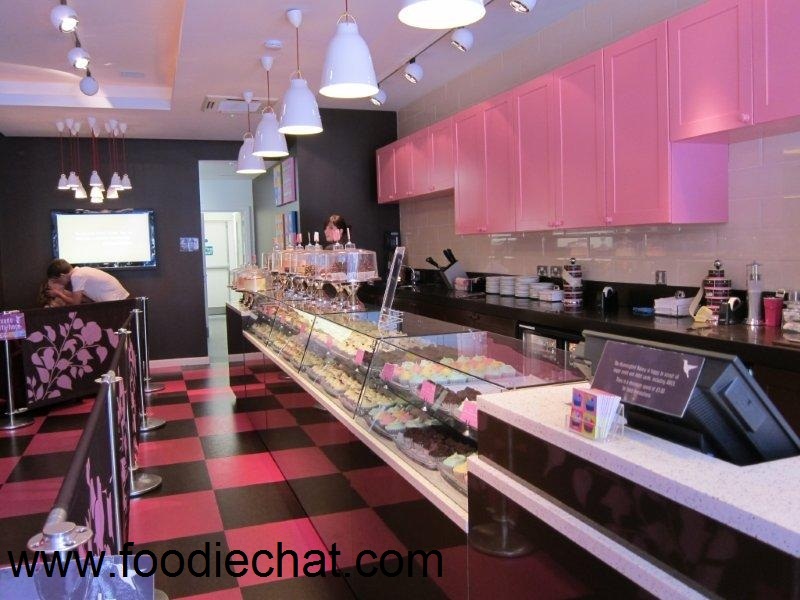 Inside the store, it’s even cuter, with pink cupboards, pink and brown checkered floor and rows and rows of perfect cupcakes behind glass display cabinets. (I didn’t notice this lovey dovey couple on the left until I got home, the guy blended so well with the decor ). The restaurant has a row of benches where you can eat it (it costs more though) and enjoy a coffee. All the treats from the book are on display here. 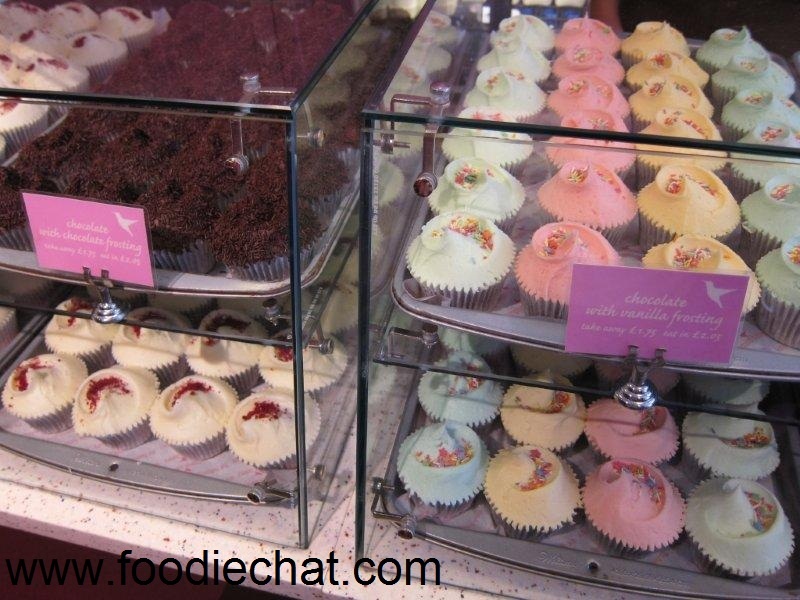 The most popular is the red velvet, and of course the traditional vanilla cupcake, each is adorned with a lick of pastel cream. New flavour of the day was the earl grey tea flavour. These mounds of calories and goodness were in fact rocky roads, rather than rocky road topped cupcakes as I had imagined.